THE BEST BOX SETS OF 2016-PART 1. Having looked at the best of the new albums released during 2016, it’s now time to look at the best box sets released during the last twelve months. These box sets range from lovingly curated, luxurious, limited editions to budget box sets. There’s something for everyone and every budget. Similarly, just about every genre is represented in the list of best box sets of 2015. Everything from classic rock, Nordic Wave, pop progressive rock to Berlin School, jazz, Krautrock and space rock can be found on the list. It features the best box sets of 2016. In 1979, Manuel Göttsching reinvented Ashra as a trio for the recording of Correlations. This was a new chapter in the career of Manuel Göttsching, as Ashra’s music moved towards a much more rock oriented sound. Forever the musical chameleon, Manuel Göttsching continued to reinvent his music, to ensure that it stayed relevant His determination to reinvent his music paid off, and the result was another innovative, genre-melting classic album, Correlations. With his new band, Ashra created a genre-melting album where they married elements of ambient, avant-garde, Berlin School, electronica, funk, jazz, Krautrock, post rock, progressive rock and rock. 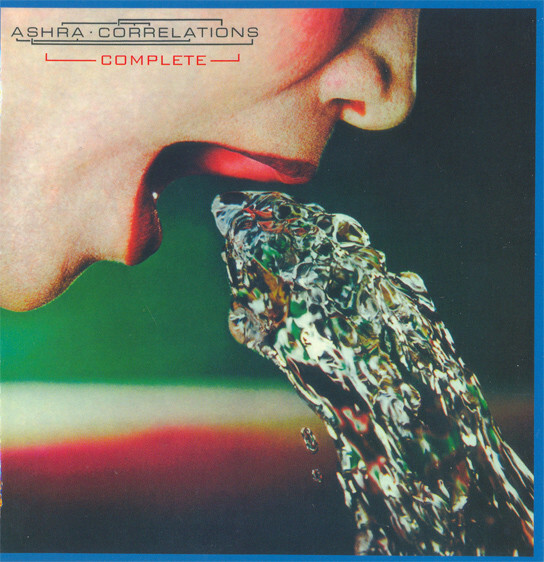 The resultant album, Correlations became a classic album, and introduced Ashra to a much wider audience and was later hailed a classic album. Thirty-seven years after the release Correlations, MIG reissued the album as a five disc box set. Correlations Complete features Correlations on disc one. Then on disc two, there’s the original version of Phantasus which was rejected by Virgin Records. Discs three to five are entitled The Making Of, and trace the birth of Correlations. There are early versions of the songs and lengthy jams which were recorded during the rehearsals and recording of Correlations. It’s the most comprehensive reissue of Correlations and will be a welcome addition to any collection. Especially for connoisseurs of the Berlin School and Krautrock. For them, Correlations Complete is everything you wanted to know about Correlations, but were too afraid to ask. By 1973, Budgie were one of the rising stars of British rock. They had been formed in Cardiff six years earlier in 1967. Since then, they had released two albums Budgie in 1971 and Squawk in 1972. They were on their way to becoming one of the most influential British heavy rock bands. 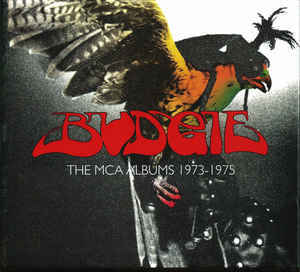 The subsequent rise and rise of Budgie is documented on MCA Albums 1973-1975 which was released by Universal Music Group. There’s a trio of albums in the MCA Albums 1973-1975 box set. This starts with 1973s Never Turn Your Back On A Friend, 1974s In For The Kill followed in 1974 and Bandolier which was released in 1975. These albums were the most successful of Budgie’s career and feature the best music they recorded at MCA. This makes MCA Albums 1973-1975 the perfect introduction to Budgie, an oft-overlooked and influential band. Many critics thought that Budgie would go on to match the success of Black Sabbath, Deep Purple and Led Zeppelin. Sadly, that wasn’t to be, and widespread commercial success eluded Budgie. However, Budgie would go on to influence a new generation rock bands, including many of the new wave of British heavy metal bands. Sadly, Budgie never enjoyed the same success as Judas Priest, Iron Maiden or Def Leppard. Nowadays, Budgie are remembered as musical pioneers, that influenced several generations of rock bands with the music on MCA Albums 1973-1975. During a career that spanned five decades, Cluster were one of the most important, influential, and innovative bands of the Krautrock era. So it’s fitting that during 2016, Hamburg based Bureau B Records released the 1971-1981 box set is a lavish and lovingly curated box set. It features the eight albums Cluster recorded between 1971 and 1981. 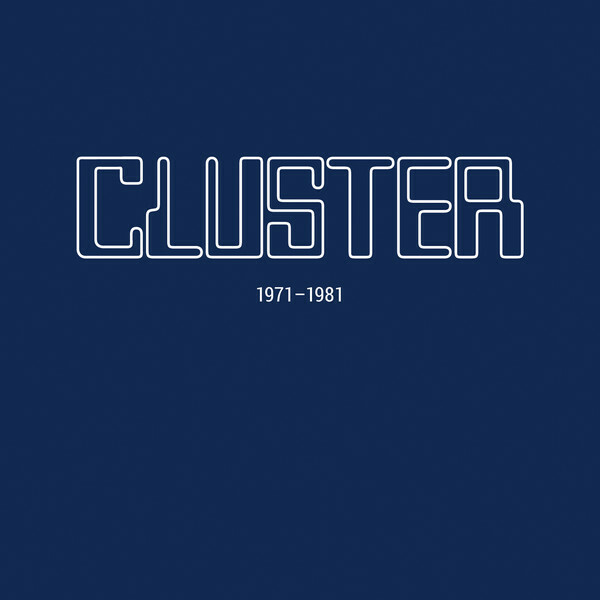 The ninth album features previously unreleased live recordings of Cluster. Quite simply, 1971-1981 is the definitive musical document of the first ten years of Cluster’s career. Cluster rose like a phoenix from the ashes of Kluster, the band Hans-Joachim Roedelius and Dieter Moebius had formed with Conrad Schnitzler. Just like Cluster, Kluster was a pioneering group who released ambitious and groundbreaking music. However, after releasing two albums as Kluster, the band Hans-Joachim Roedelius and Dieter Moebius left to form Cluster. Little did they realise that they had just formed a band that would release a series of groundbreaking album. This included albums like Cluster, Cluster II, Zuckerzeit and After The Heat. Nowadays, these albums are considered genre classics. They’re also among the nine discs with the 1971-1981 box set. It’s a fitting celebration of musical pioneers Cluster, who released ambitious, groundbreaking and timeless music throughout their long and illustrious career. Nowadays, Cream are regarded as the first British supergroup. Cream were formed in July 1966 and were together for just over two years. During that period, Cream released a quartet of albums, Fresh Cream, Disraeli Gears, Wheels Of Fire and Goodbye. These albums influenced everyone from Jimi Hendrix and The Jeff Beck Band to Black Sabbath and Led Zeppelin. Even today, many musicians cite Cream as an influence. So it’s fitting that fifty years after they were formed that Commercial Marketing released the Classic Album box set. It documents Cream’s short, but illustrious successful career. Each of Cream’s albums were released to critical acclaim and went on to sell in vast quantities. Cream’s four albums were certified gold and platinum on three continents and sold over fifteen million copies of Fresh Cream, Disraeli Gears and Wheels Of Fire and Goodbye. That’s why Cream are nowadays, regarded as rock royalty. They were also the first British supergroup. Other followed in Cream’s wake. However, Cream achieved more than most in just under three years. Each of their albums found Cream’s music evolving as they continued to create groundbreaking music. This ranged from blues rock to hard rock and psychedelia during Cream’s short, but illustrious successful career. 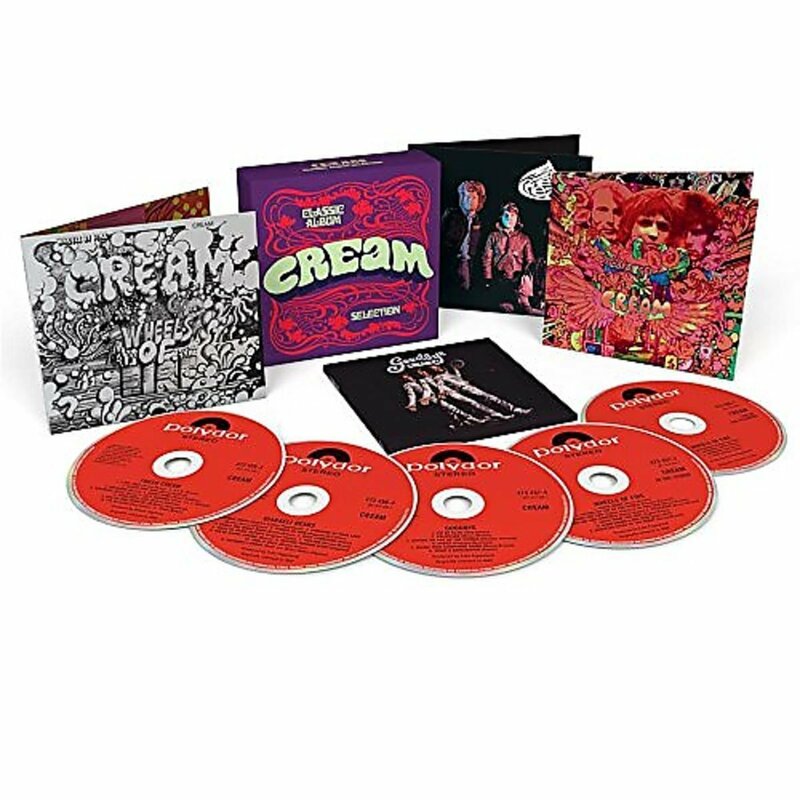 The quartet of albums Cream’s released between December 1966 and March 1969 can be found in the Classic Album Selection box set. It’s the perfect introduction to the first, and many say best British supergroup, Cream. 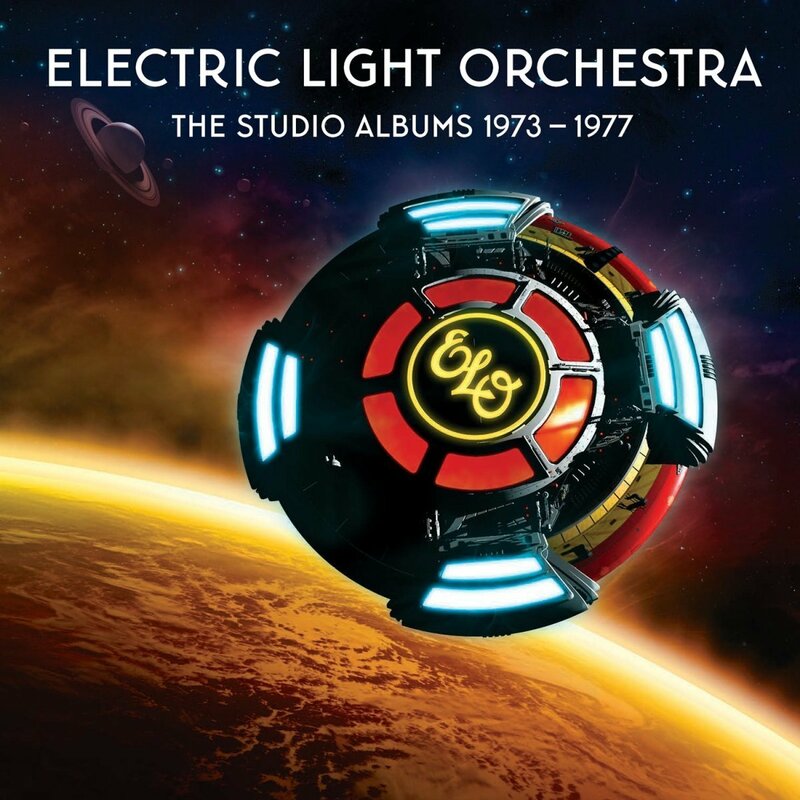 Electric Light Orchestra-The Studio Albums 1973-1977. From Face The Music through A New World Record to Out Of The Blue, Electric Light Orchestra’s classic sound emerged. It was slick, polished, melodic and hook-laden. This was quite different to their first two albums that Electric Light Orchestra released, Electric Light Orchestra and ELO 2. After this, the Electric Light Orchestra continued to evolve musically between 1973 and 1977. During this period, the Electric Light Orchestra sold the best part of twenty million albums. This includes some of the best music of Electric Light Orchestra’s career. There’s the concept album Eldorado and the five million selling A New World Record. It features a slick, polished, melodic and hook-laden sound. This continues on the Electric Light Orchestra’s Magnus Opus, Out Of The Blue. Nothing else came close to the Electric Light Orchestra’s classic album. For many people, the Electric Light Orchestra released their finest music between 1973 and 1977. That’s the period that the Electric Light Orchestra The Studio Albums 1973-1977 covers. It’s the perfection introduction, or reminder to, one of the greatest British bands of the seventies, Electric Light Orchestra at their creative zenith. For anyone interested in jazz, and especially the music released by the Impulse! label, then the Impulse 1961-1974 box set was a must have. It featured twenty-five CDs including Art Blakey and The Jazz Messengers, Charles Mingus, McCoy Tyner, Chico Hamilton Quintet, Earl Hines, Keith Jarrett, John Coltrane Quartet, Shelly Manne, Charlie Haden and Tom Scott. There’s everything from big bands to trios, quartets and soloists. Similarly, a variety of sub-genres of jazz are represented on the Impulse 1961-1974 box set. It was released by Decca and celebrates the first thirteen years of the Impulse! story. There’s everything from avant-garde to bop to the cool school, free jazz, fusion, hard bop, Latin and post bop makes an appearance on the Impulse! 1961-1974 box set. That’s no surprise. Many of the giants of jazz spent time signed to Impulse! They seem to have been afforded creative freedom. There was nobody trying to tell artists what direction their music should head in. While this may not have resulted in music that was hugely successful commercially, but it was innovative, inventive and influential. Especially during the period Bob Thiele was at the helm of Impulse! Nowadays, Bob Thiele’s name is synonymous with Impulse! He was at at the helm between 1961 and 1969. That was when Impulse! released some of its most important and influential music. After Bob Thiele’s departure, still, Impulse! continued to release important, innovative, inventive and influential music. However, not as regularly as it once had. Some of the albums were hit or miss affairs. Impulse! continued to release albums regularly, but no longer was the label consistently releasing classic albums. They were in short supply. Still, though, many of the artists signed to Impulse! after Bob Thiele’s departure were pioneers. They continued to released ambitious and groundbreaking music. Some of that music features in the Impulse! 1961-1974 box set. It’s a tantalising taste of one of the jazz’s legendary labels, and some which was home to many of the giants and pioneers of jazz. In 1971, Jethro Tull released what would become their first classic album, Aqualung. It was Jethro Tull’s most ambitious and cerebral album, Aqualung. It was a concept album that examined ”the distinction between religion and God.” This seemed an unlikely subject for an album, even a seventies concept album. It found Jethro Tull combined progressive rock with folk, blues, hard rock and even psychedelia. The music features Jethro Tull at their most cerebral, and became the band’s most successful album. In America alone, Aqualung sold three million copies, and seven million copies worldwide. Suddenly, Jethro Tull were one of the biggest selling bands in the world. Forty-five years later, and PLG reissued Aqualung. This was the 40th Anniversary Adapted Edition which was a two CD and two DVD set. Again, Steven Wilson appears to have taken great care with the remastering. It’s certainly not over loud and has a punchiness. The remix seems slightly larger and wider. There’s also a slightly more open sound. This remix also benefits from a greater degree of separation, while some of the instruments much clearer. However, this remix won’t suit everyone. That’s why the 40th Anniversary Adapted Edition should be seen as something to compliment, not replace for the original album. Having said that, it’s a worthwhile addition to a collection and would make the perfect companion to the original version of Aqulung. Disc two, which features sixteen “associated recordings” from 1970 and 1971. This includes earlier versions of certain songs. It’s interesting to compare them to what they eventually became. Some of the songs never found their way onto Aqualung, This will make them an interesting musical document for fans of Jethro Tull. So will the two DVDs. 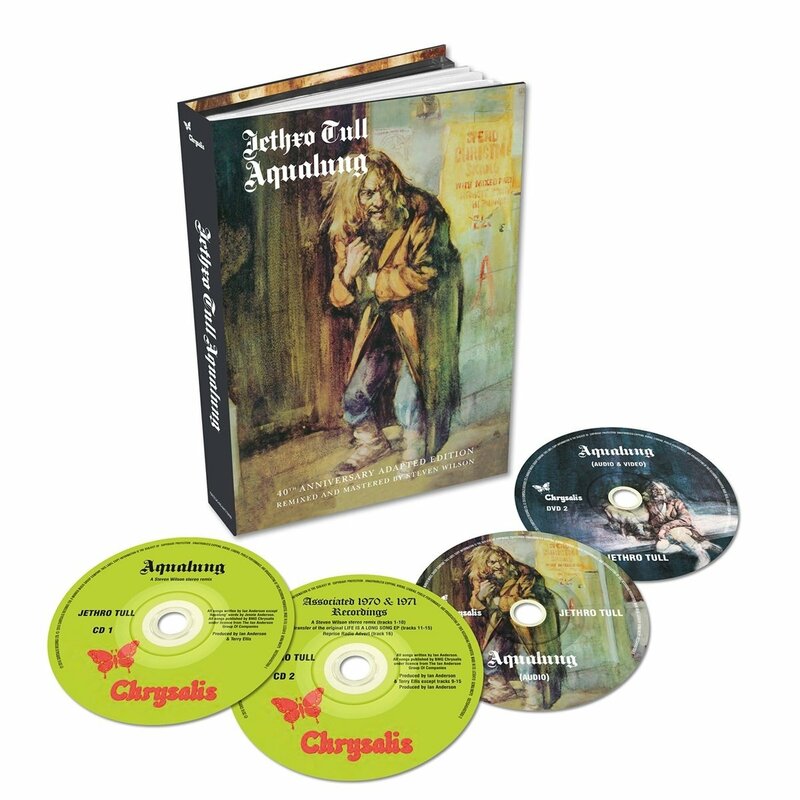 DVD one features the Steven Wilson 5.1 surround and stereo mixes of the Aqualung, and associated recordings 1970-1971. Then on DVD two, there’s flat transfer of the original album and EP, plus stereo and quadrophonic mixes. Both the flat transfer of the album and the quadraphonic mixes are interesting musical artefacts from a musical point of view. They’re a fascinating insight into Aqualung, the album that transformed Jethro Tull. They were now one of the biggest rock bands in the world after the success of Aqualung. That’s where they remained for much of seventies. For a while, it seemed that everything Jethro Tull touched to silver, gold or platinum. However, Aqualung was one of Jethro Tull’s finest hours, and set the bar high for future albums. 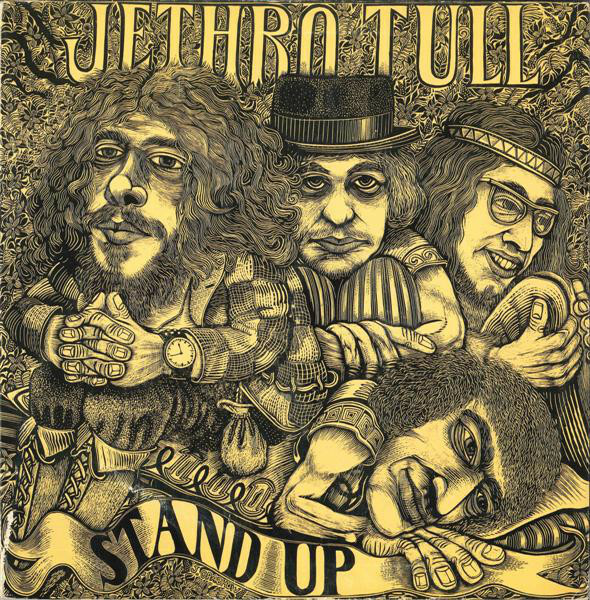 Jethro Tull-Stand Up-The Elevated Edition. When Jethro Tull released their sophomore album Stand Up in September 1969, the album was a game-changer. It was a much more eclectic album. Whilst there was still a blues rock sound on Stand Up, Jethro Tull were expanding their musical palette. They combined elements of Celtic, classical, folk and rock. This new and more eclectic sound struck a nerve with critics and record buyers. Stand Up was well received and sold well on both sides of The Atlantic. Little did Jethro Tull realise that this was the beginning of a golden period in their career. So it was fitting that The Elevated Edition-Remixed and Remastered Edition of Stand Up was rereleased by PLG as a two CD and DVD box set. Disc one features the original album remixed and remastered by Steven Wilson. He has remastered several Jethro Tull albums, and as usual, has done a good job. Stand Up certainly has’t become a victim of the loudness wars. Meanwhile, the remix is larger, wider and has a more open sound the than the original album. There’s a greater degree of separation, while some instruments sounding much clearer. However, remixing an entire album always results in much debate. Maybe the way to view The Elevated Edition isn’t as a replacement to an original copy, but something to complement it. Complimenting the remastered and remixed version of Stand Up on disc ore are six bonus tracks. Then disc two features Jethro Tull in concert at the Stockholm Konserthurst, 9th January 1969. Other tracks include mono single versions of Living in the Past and Driving Song. The DVD features 5.1 surround mix, a flat transfer of the original stereo album, film footage and Jethro Tull live at the Stockholm Konserthurst,on 9th January 1969. For fans of Jethro Tull this is a reminder of what was the start of a golden period for Jethro Tull. During this golden period, it seemed that Jethro Tull could do no wrong. Their albums were released to critical acclaim and sold by the million. Jethro Tull became one of the most successful British rock bands of the seventies. The album that transformed the fortune of Jethro Tull was their sophomore album, Stand Up. Forty years ago in 1976, John Miles released his most successful single Music. Since then, every time John Miles’ name comes up in conversation, Music is mentioned. That must be frustrating for the English singer-songwriter. After all, John Miles released ten albums between 1976 and 1999. This includes the four albums he released on Decca Records. They can be found on the five disc John Miles box set, The Decca Albums. It was released by Decca Records and also includes a BBC Live In Concert recording from March 1978. 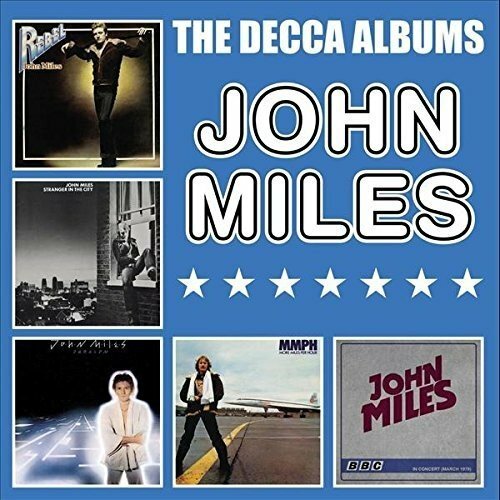 The Decca Albums box set is a reminder that there’s much more to John Miles than one single. The Decca Years were also the most productive period of John Miles’ career. During The Decca Years, John Miles averaged an album a year. These albums featured songs by the John Miles and Bob Marshall songwriting partnership. They were responsible for some of the best music of John Miles’ four decade recording career. This included the four studio albums that John Miles released for Decca. John Miles most successful album was his debut album Rebel. It was produced by Alan Parsons, and was released in 1976. Rebel enjoyed commercial success not just in Britain in Europe, but also in America. The success continued with the release of Stranger In The City in 1977. Audiences were won over by John Miles’ music which ranged from pop to blue eyed soul, funk, rock and soul. However, after two successful album John Miles deeded to change direction on Zaragon. John Miles decided to moved towards rock epics. This attempt to reinvent his music to ensure it stayed relevant backfired. Zaragon failed to chart in America, and failed to replicate the success of John’s two previous albums. To try and kickstart John Miles career, Alan Parsons returned to produce MMPH-More Miles Per Hour. The result was a much more cohesive and focused album that was sweetened by orchestral arrangements. Despite this, the album failed to chart in America, but was slightly more successful in Britain and Europe. That wasn’t good enough for Decca Records. After More Miles Per Hour, John Miles parted company with Decca Records. After just four years and four albums, The Decca Years were over. They feature on the recently released five disc box set, The Decca Years. It was released by Decca Records, and includes the four albums John Miles released for Decca Records. The fifth disc features the BBC Live In Concert recording from March 1978. It’s a tantalising taste of John Miles and his tight, talented band at their best. The live disc is a welcome addition, to The Decca Years. So are the bonus tracks that feature on each disc. That’s why The Decca Years is without doubt, a truly comprehensive retrospective of the early part John Miles’ four decade recording career. 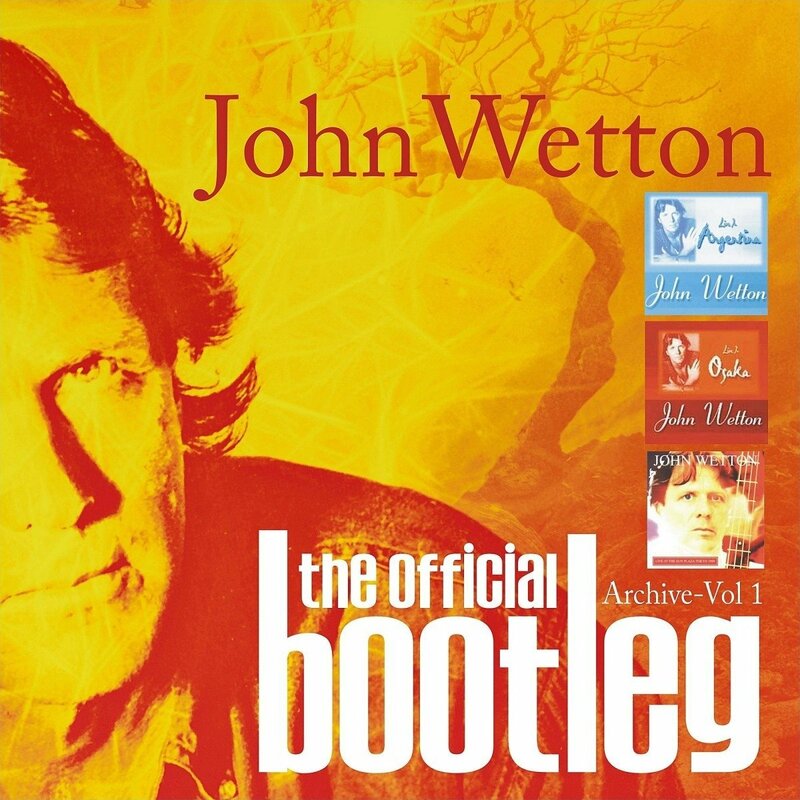 Last year, John Wetton released The Official Bootleg Archive Volume 1, a six CD box set. It’s a collection of three of John Wetton’s previously released Official Bootlegs, which have been out of print for the best part of ten years. These three concerts were recorded between 1996 and 1999. The first is Live In Argentina 1996 which features on discs one and two. Live In Osaka 1997 features on discs three and four. On discs five and six, is Live At The Sun Plaza Tokyo 1998. With his tongue firmly in his cheek, John Wetton decided to call this box set The Official Bootleg-Archive Volume 1. This was a very welcome reissue. After all, these three Official Bootlegs have been out of print for over ten years. This meant newcomers to John Wetton’s music were unable to discover Live In Argentina, Live In Osaka 1997 and Live At The Sun Plaza Tokyo 1999. John Wetton knew it made sense to reissue this trio of live albums. He decided that the time had come to rectify this. Each of the three concerts were remastered and are reissued as part of The Official Bootleg-Archive Volume 1. It’s a six CD box set that has recently been released by the Primary Purpose label. The Official Bootleg-Archive Volume 1 box set is a reissue that will appeal to many music fans. This includes fans of Mogul Thrash, Family, King Crimson, Uriah Heep, UK and Asia. Then there’s John Wetton’s loyal fans, who have followed his solo career closely over the past four decades. Especially during the nineties, when the three concerts on The Official Bootleg-Archive Volume 1 were recorded. They’re sure to bring back memories of John Wetton live, in the late nineties, which was one of the most fruitful periods of his solo career. ← THE BEST BOX SETS OF 2016-PART 2.